Explanation: What happens when a meteor hits the ground? Usually nothing much, as most meteors are small, and indentations they make are soon eroded away. 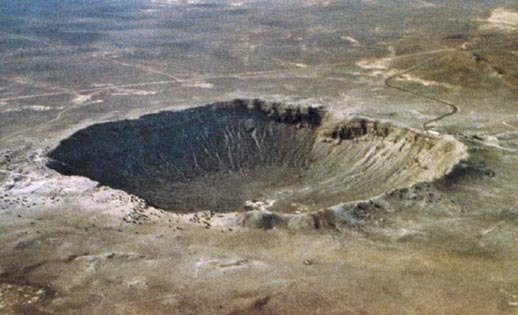 49,000 years ago, however, a large meteor created Barringer Meteor Crater in Arizona, pictured above. Barringer is over a kilometer across. In 1920, it was the first feature on Earth to be recognized as an impact crater. Today, over 100 terrestrial impact craters have been identified. Recent computer modeling now indicates how some of the Canyon Diablo impactor melted during the impact that created Barringer.